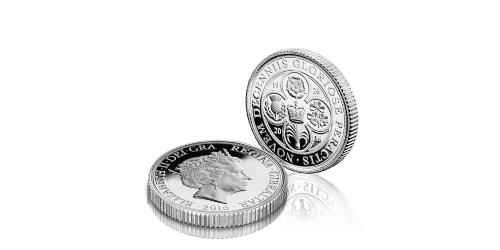 In 2016, the year of the Queens 90th Birthday and glorious celebration of her record-breaking reign spanning nine decades – the biggest pure silver coin ever commissioned to commemorate this incredible achievement was designed & struck…but never made public. Shrouded in secrecy, a very limited quantity of this impressive pure silver coin were struck – and even officially postmarked by the Royal Mail on the date of the Queen’s Birthday to commemorate such an important event in British History. Why they were commissioned, and even who by – is still unknown. In fact, what could have been the most important coin of the year, nobody knew existed. Never before seen, the biggest pure silver coin ever issued to mark Her Majesty’s glorious and record-breaking reign. After nearly twelve months of extensive investigation, The London Mint Office has discovered the secret coin that never was – the Flowers of the Nation: Queen Elizabeth II 90th Birthday pure silver coin. 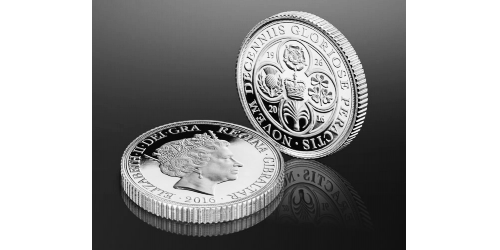 The spectacular coin, measuring an incredible 65mm in Diameter – is the BIGGEST pure silver coin ever struck to commemorate the Her Majesty’s nine glorious decades in sovereignty. An absolute masterpiece, and an incredible rarity – with only 340 sets issued. As the nation celebrated nine decades gloriously accomplished, this beautifully impressive 65mm Pure Silver coin is truly special. 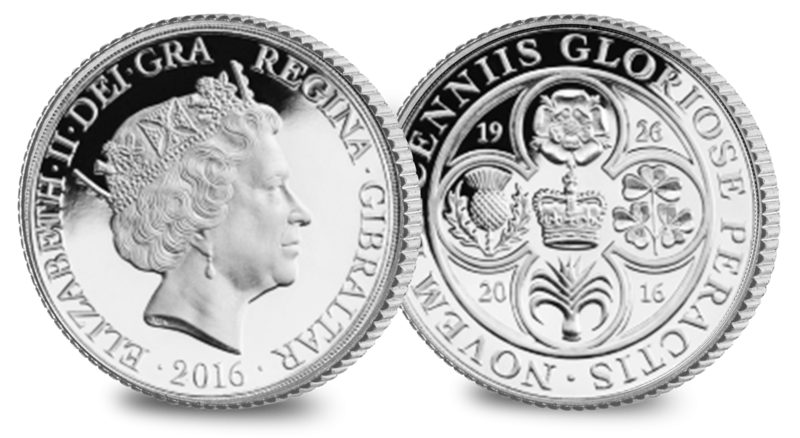 The Obverse features the Queens effigy, created by renowned sculptor Raphael Maklouf, specifically for the Queen’s 90th Birthday. This new portrait captures the essence of Her Majesty’s rule, while remaining timeless. The reverse of each crown depicts the flowers of the nation; the Scottish thistle, Welsh Leek, English Rose and Irish Shamrock. Each of these has appeared on the coinage of Her Majesty through the years, and each is encapsulated in a quatrefoil arch, reminiscent of the windows of Westminster Abbey, where the Queen was coronated in 1953. Don’t miss this incredible opportunity to own one of the rarest, significant and impressive coin editions to date - Flowers of the Nation: Queen Elizabeth II 90th Birthday pure silver coin.